If you’ve ever wondered how Daniel Negreanu developed his reading abilities, when he realised poker was his profession, and if he ever limps with aces, then you’re in luck. 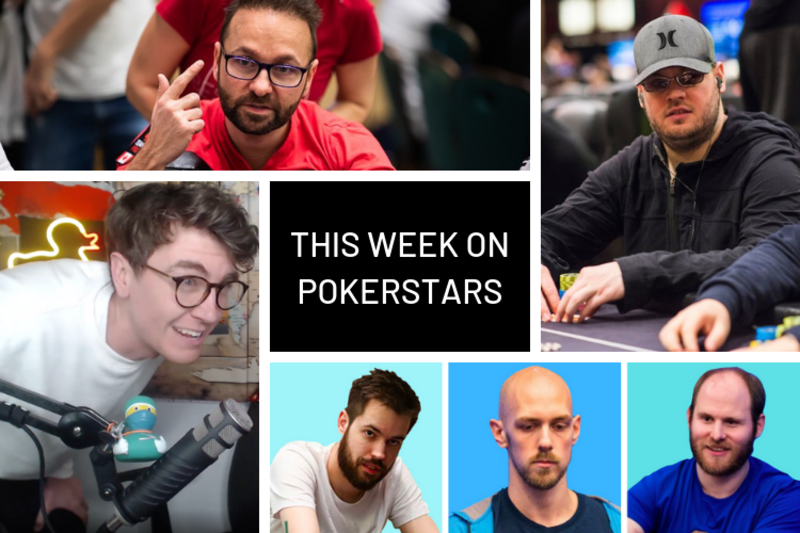 On Tuesday night, Kid Poker himself sat down and replied to some questions set by members of the PokerStars School community on Twitter. Take a look at Negreanu’s answers here. There’s not a lot that Shawn “buck21” Buchanan hasn’t accomplished throughout his time in poker. A triple COOP winner who also has $7M in live earnings, Buchanan’s most recent victory came a couple of weekends ago when he defeated the current worldwide #1, Niklas “Lena900” Åstedt, heads-up to take down the $215 NLO8 Sunday SuperSonic. We caught up with Buchanan and talked about Omaha, COOP memories, and being an “old man” after a decade and a half in the game. Plus he gives you some tips to get started in poker. Read our interview with Shawn Buchanan here. Those were the words of PokerStars Ambassador Fintan Hand, who achieved his largest score to date on Wednesday night. Hand took down the prestigious $530 Bounty Builder for just under $28K, and the Twitch cameras were rolling every step of the way. Check out all the Twitch clips here. Poker strategy is always evolving, so it can be hard to keep up with the latest. Featuring video clips and (a lot of) help from Lex Veldhuis’s commentary, we took a look at three current trends in No Limit Hold’em played by those in the know: the Super High Rollers. Keep up with the Super High Rollers here. • The hidden truth: What does it mean to have a “poker face”? • PokerStars School: What poker style should you be using? • Ashley Sleeth and Jesse Sylvia drop by Poker In The Ears Episode 146 — now on YouTube!